Riviera Maya is a one of a kind destination. Whether a couple, family or group of friends is traveling, there are excursions in the area for everyone to enjoy. Choosing to stay at an El Cid resort will put visitors right in the midst of all the action. The concierge at these resorts will be sure to suggest the appropriate activities. For those adventurers who enjoy being in the water, snorkeling the world’s second largest reef should definitely be on the agenda. This two-hour excursion is well worth it. 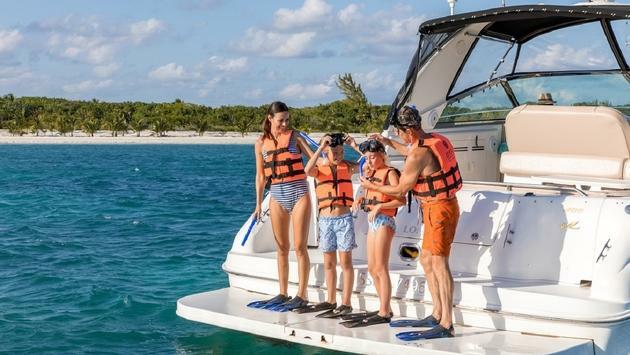 Along with snorkeling, vacationers at Ventus at Marina El Cid Spa & Beach Resort can also enjoy other water activities such as kayaking, paddle boarding, hobie cat rides and so much more. For those looking for an activity a little more on the relaxing side, a massage would be the way to go. The spa on property at Marina El Cid offers a handful of different massages and many other services. Another way to find relaxation is participating in sunrise yoga. Yogis can take in the sunrise each morning as they stretch out and clear their mind for the day ahead. There are plenty of ways to see the areas outside of the resort as well. A fun way to explore the surrounding resort area is by taking a bike tour. The tour allows for a few stops at the craft stores and of course by the beach for a photo op.